Annual summer reading program. When I was a kid we got Pizza Hut coupons. Do they still do that? 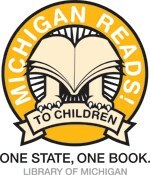 This is the theme of our 2011 Summer Reading Program. We have many exciting activities planned. Check back frequently as summer approaches!